 FM Approvals has been made aware that, in areas where the sprinkler system water supply contains contaminated, corrosive and/or scaling water conditions, the Reliable Model B and BX Deluge and Preaction valves as well as the Model LDX Dry Pipe valve may become restricted preventing proper function of the sprinkler system. 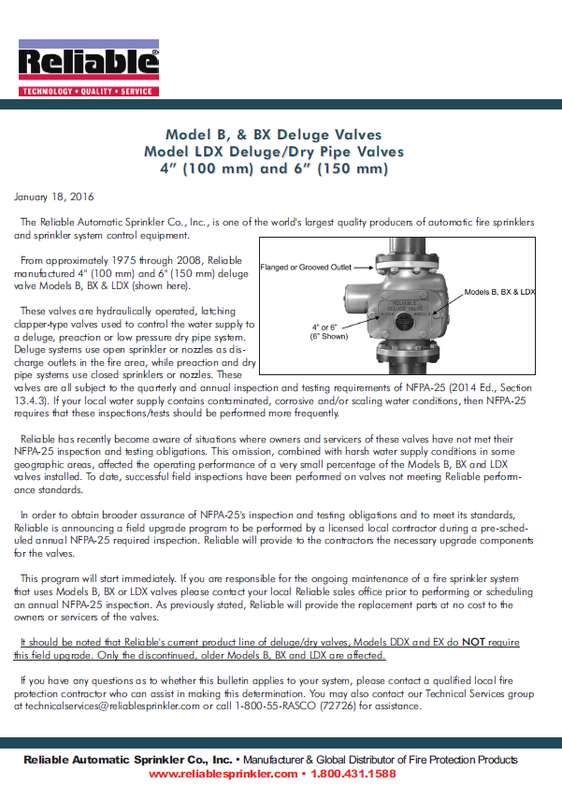 Reference attached Technical Bulletin issued by Reliable Automatic Sprinkler Co., Inc.
1-800-557-2726 or e-mail at technicalservices@reliablesprinkler.com. Deluge, Preaction and Dry Pipe valves. Reliable Models B, BX & LDX in sizes 4 and 6 inch NPS (100 mm and 150 mm). Valves manufactured between 1975 and 2008. All Model B and BX Deluge and Preaction valves manufactured between 1975 and 2008 as well as all Model LDX Dry Pipe valves manufactured on or after December 31, 1999 are FM Approved. The Model B, BX & LDX valves manufactured during the affected dates have valve chamber assemblies that may be susceptible to restriction, preventing actuation of the Deluge, Preaction or Dry Pipe valve. This could prevent the sprinkler system from operating correctly and should be addressed immediately. Further technical information regarding the Reliable Models B & BX Deluge and Preaction valves and the Model LDX Dry Pipe valves can be found at the following web address: www.reliablesprinkler.com.